This has really been a year of renewed prayer for me. I have added a binder of prayer requests to my morning routine, and have been taking time through out each day to pray for needs I see come through on social media and other places. When I saw Pray A to Z by Ameila Rhodes I was really excited to dig in! You can utilize this book to pray for one letter a day, just open and read a specific letter, or let the spirit lead you to a letter that you need to pray over that day. There are 5 different prayers for each letter. It is great to use for homeschool and a letter of the week program. Even with the older kids you can pick a letter, and then ask them for additional things that start with that letter to pray for. This book helped to open my eyes to pray for things I wouldn't necessarily have thought about. The prayers aren't always tangible things to pray for. Some of them are for character or things in our own lives to pray over. J for example includes Job Seekers, Jealousy, Joy, Jehovah-Jireh, and Justice. Each word includes a scripture verse, a suggestion for what to pray about, and a pray you can read aloud or to yourself to pray. If you are new to praying, this is a great book to help guide you! 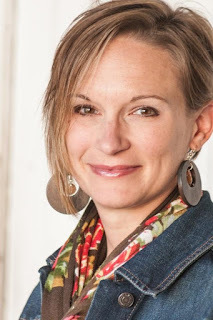 Amelia Rhodes is a speaker and author of Isn't It Time for a Coffee Break: Doing Life Together in an All-About-Me Kind of World. Amelia's writing has also been featured in four Chicken Soup for the Soul titles, devotionals for the OneHope blog Undeterred and the international devotional Upper Room. Amelia has a growing speaking ministry and speaks regularly to women's groups on topics of spiritual growth, friendship, and community, offering practical tools for living our faith in the everyday. She lives in Lowell, Michigan. Are you ready to change your community, one prayer at a time? 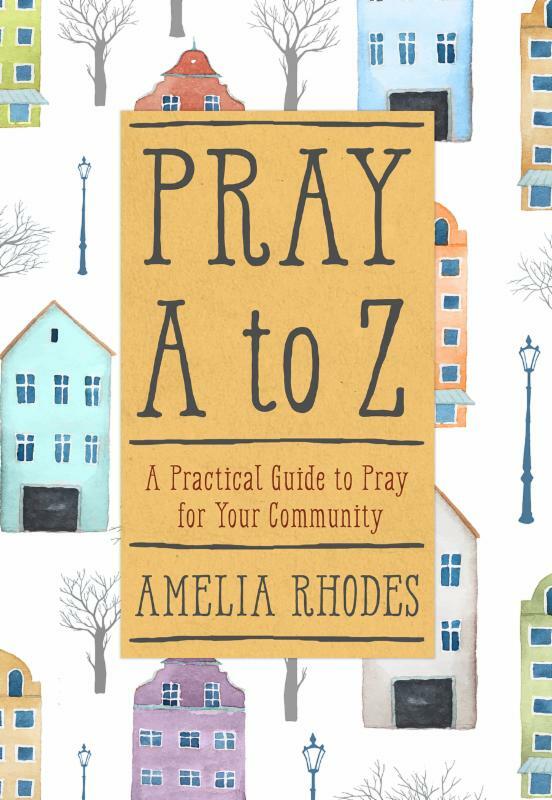 Learn how to organize your prayer requests topically and lay the burdens of your community at the feet of our Heavenly Father with the help of Amelia Rhodes' new book, Pray A to Z. Whether you are praying for a friend’s adoption journey, a neighbor’s bankruptcy, or a family member’s cancer, this book will give you Bible verses, prayer prompts, and prayer starts to guide you through praying for even the most difficult issues that affect the people you know and love. Perfect for either individual or group prayer, Pray A to Z will help you experience the peace that comes from communicating with God. 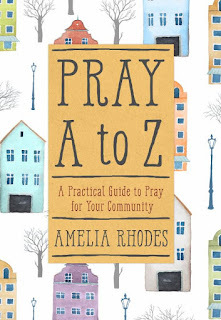 Learn more about Pray A to Z and how to pray for your community, and enter to win Amelia's Guide to Prayer Prize Pack to get you started. Enter today by clicking the icon below, but hurry! The giveaway ends on December 20. The winner will be announced December 21 on Amelia's blog.